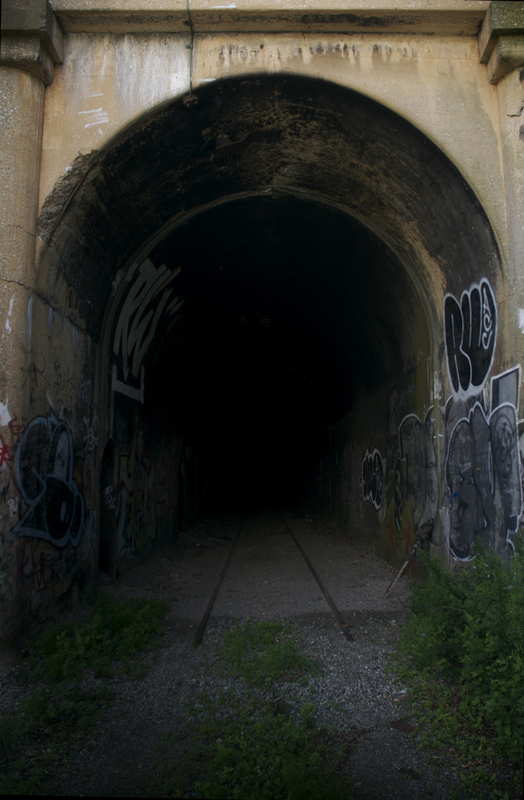 Nate Kensinger, who is one of the local photographers with a talent for going places that we wouldn't crawl or venture into, not to mention climb, takes us into a 1914-vintage abandoned rail tunnel in East New York with his latest post on his Nathan Kensinger Photography photoblog. The post is called Underneath East New York and it has some great photos of the tunnel. One of Nate's photos of the now-buried-by-Ikea-for-parking Graving Dock at the Todd Shipyard in Red Hook was a finalist in the My Brooklyn Photo Exhibition, which is running at the Brooklyn Public Library through tomorrow.